A Venetian-style restaurant that offers small plates to share. It is modest from the outside, but inside it is a comfortable, stylish and lively setting for wining and dining. There is also The Campari Bar downstairs, which is a great place to have a few snacks and drinks. The menu changes regularly but consists of all sorts of small dishes. So just order loads of different plates to share but make sure you have the goat's cheese bruschetta and the grilled flank steak on the table. The tiramisu is spot on too. 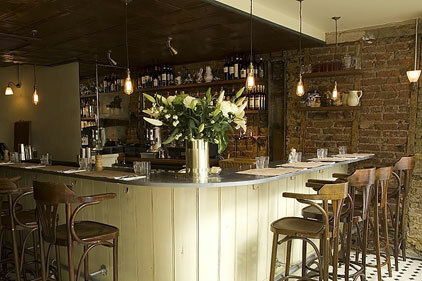 The co-owners are Russell Norman and Richard Beatty, who have recently opened sister restaurant Polpetto down the road. Bookings are only taken for lunch, so for dinner get in there early as it's first come, first served. The plates range between £4 and £8 or a meat platter is £13. Polpo, 41 Beak Street, London, W1F 9SB.